Pupil and assistant May 1794 - September 1808. 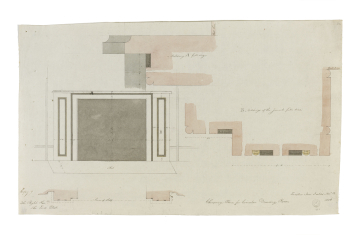 The Soane office Day book has both Seward and Charles Malton (pupil February 1802 - December 1809) 'about accounts' and 'Drawing Chimneypiece for / the Drawing Room' but the writing seems to be Seward's. For other designs for chimneypieces see drawings  and .